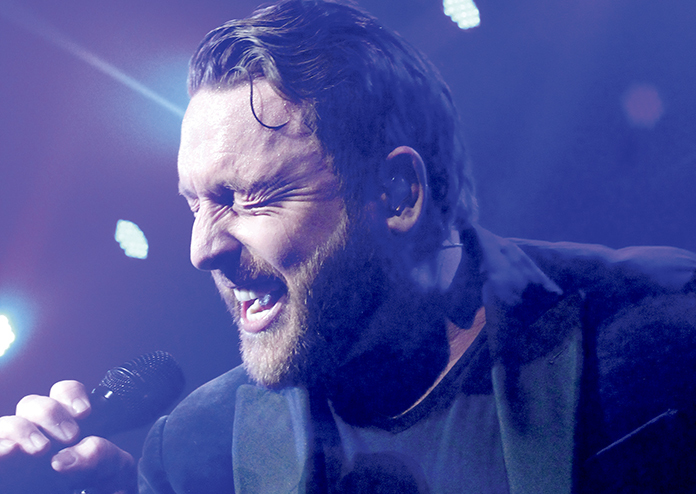 Country music artist Johnny Reid and his long-time big band The Soul Providers, visited Oshawa for his Revival Tour, creating an entertaining and memorable experience for his fans. Reid’s laughter-provoking storytelling and active interaction with his audience during his show, left the audience with the impression of how appreciative he is to have the support of his fans. The April 12 concert was held at the Tribute Communities Centre in downtown Oshawa. The show was headlined by London’s Jessica Mitchell, with a special appearance by Grammy-nominated, Newmarket rock band, Glass Tiger. The opening songs were reminiscent of big band and rhythm and blues. The country singer and songwriter started the show with zest, powerful vocals and a charismatic stage presence. The set included songs from his 2017 Revival album such as “Soul Train,” “Memphis” and “Honey Honey.” Fan favourites such as “Darlin,” “Walking on Water” and “Fire It Up” were also performed, staying true to the classic Johnny Reid sound of a graceful combination of country and folk. “Pictures of You” was performed to honour loved ones lost this year. Reid asked those who had lost someone to cancer to light up their phones, creating a glow effect in the crowd. In respect to Reid’s band mate, Mark Selby, who passed away last September from cancer, the band played an emotionally moving tribute. “Life is about who you surround yourself with,” says Reid. The Revival tour kicked off in February in Sidney, B.C., with 44 international and Canadian dates. The tour ended in St. John’s in late April. The platinum award-winning artist’s album has been nominated for Album of the Year and Adult Contemporary Album of the Year at this year’s Juno Awards. Reid has won five Juno awards, including Country Album of the year twice, and is a 26-time Canadian Country Music Associations winner. Reid is a three-time winner of the CCMA Male Artist of the Year award. The father of four was born in 1974, and raised in Lanark, Scotland. His family arrived from Scotland to Canada in 1988. He spent his high school years in Brampton and is now based in Nashville.